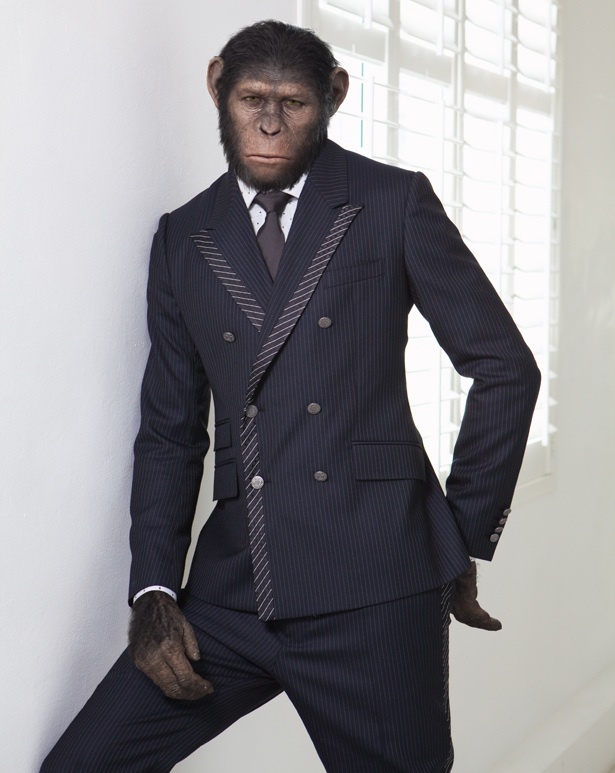 …Yes even Caesar has a sense of fashion! 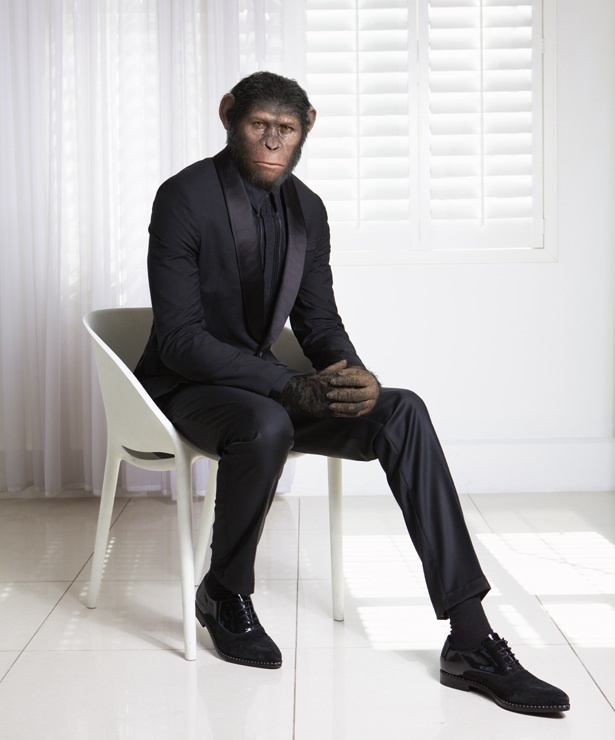 As a newly obsessed fan of Planet of the Apes, I am super excited about the next one; Dawn of the Planet of the Apes (out in UK cinemas today) so when I was shown this, I had to share it. Not only is it extremely clever, but it’s hilarious. Photographed (above) in over fifteen hundred pounds worth of Gucci, I can not get enough. Caesar is well and truly in the mix. 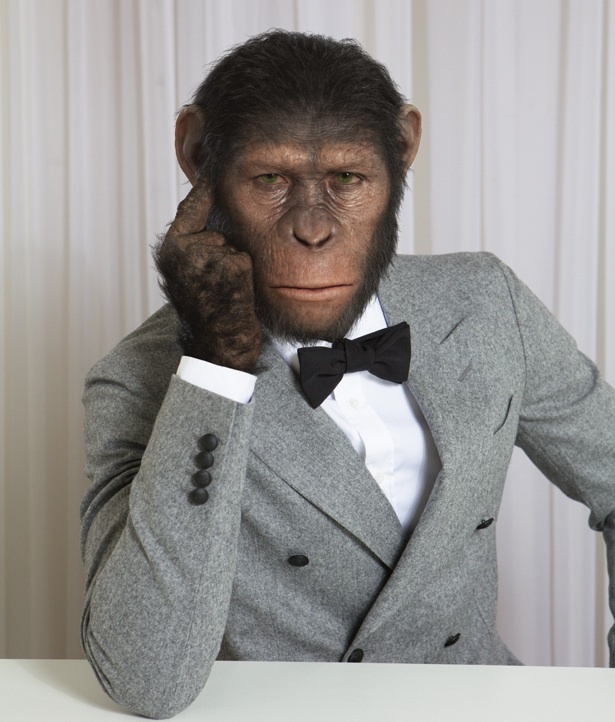 Dressed head-to-toe (below) in Ice white Emporio Armani, all black in Roberto Cavalli and a three-thousand pounds (plus) suit, shirt, shoes and tie outfit by Dolce & Gabbana; he’s on trend and has a higher fashion taste than I ever expected, that’s for sure. As funny as I find it, the series of edits, have been executed to perfection. 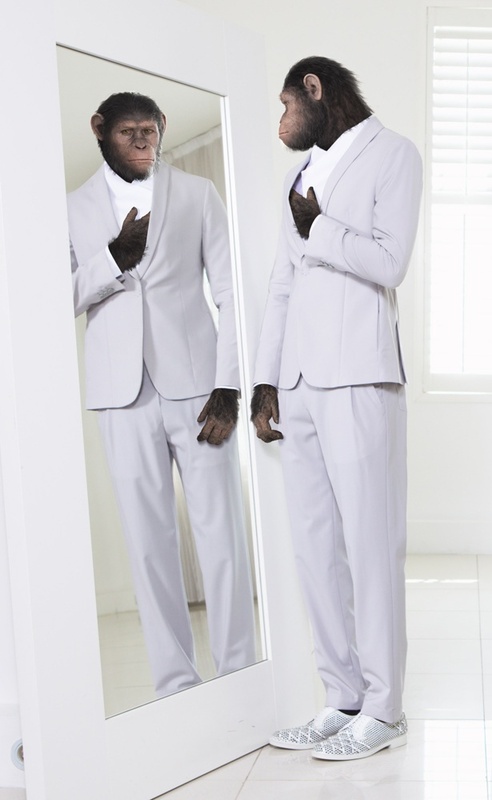 The ape is definitely spoilt for choice for his red carpet debut. Who knows he may even be back for fashion week in September! Oh the laughs. Ok, all jokes aside. Wait. Who am I kidding, it’s hilarious. As well done as they are, I can’t help but laugh. Mainly because it is so well done and has men’s magazine model down to a tee. I love it. Seems “Caesar-is-home” and rocking it more than ever!